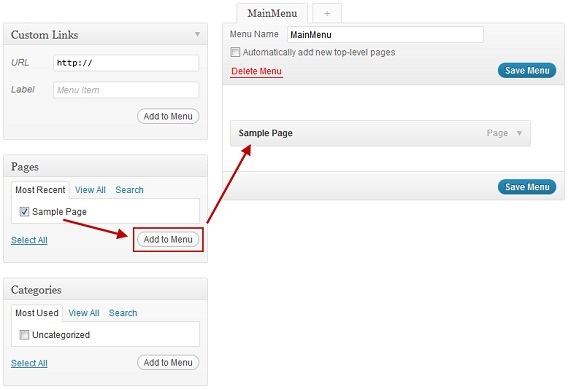 • Create a New Menu: To create a custom menu in WordPress, Go to Appearance > Menu in your WordPress dashboard. 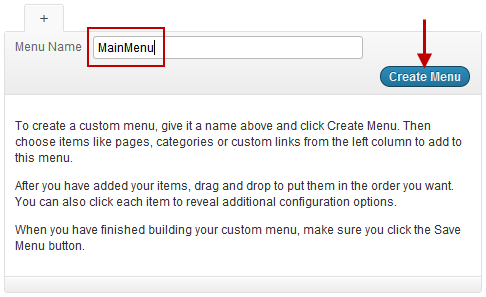 Now enter a name for the custom menu you want to create, and click on the ‘Create Menu’ button. You can use any name for your menu but try to use a descriptive name like HeaderMenu or FooterMenu. • Add Menu Items: You can now add menu items in this custom menu from the left side boxes in the menu editor screen. By default, you can add pages, categories or any custom links in the menu. To add anything just check it and click on Add to Menu button. It will automatically appear in the menu. • Remove or Edit Menu Items: If you want to remove a menu item from the custom menu, or you want to change the menu title or attribute, click on the small arrow on the far right of the menu item to edit or remove it. 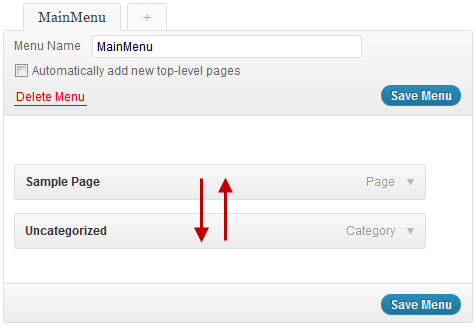 • Reorder Menu Items: The menu items are added to the WordPress custom menu in the order you add them. If you want to change the order of menu items, simply drag and drop them to arrange them in the order you need. 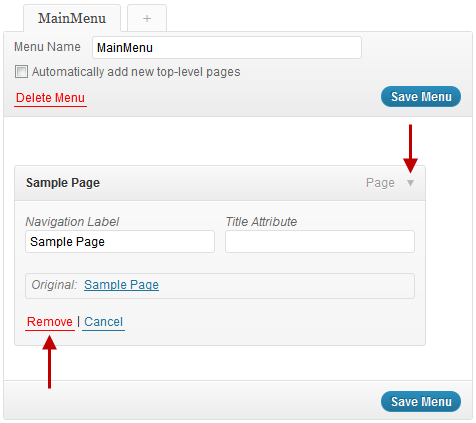 • Once you have created the menu, click on ‘Save Menu’ button to save it. • Now click on ‘Manage Locations’ link and apply the menu you just created to the correct theme location as needed and click Save. That’s it. 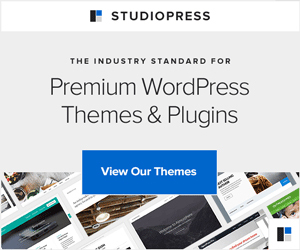 Your custom WordPress menu will now appear at the theme location you just specified. If your theme supports multiple menu positions, and you want to create another custom menu, go to Appearance > Menu again simply click on ‘create a new menu’ link to create a new custom menu. Once you have created the custom menu, you might also want to learn how to create drop down menus in WordPress, or how to remove a link from parent menu item or how to open a custom menu link in new window or tab.